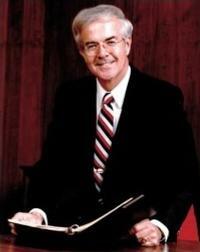 Sanford N. McDonnell, 89, the Chief Executive of McDonnell Douglas from 1980 to 1988, died on March 19, 2012. He became the Chairman and CEO in 1980, after the death of his uncle , James S. McDonnell, Jr., who founded the company in 1939. Sandy McDonnell joined the company in 1948 as a stress engineer after serving in World War II, and later led the development of the F-4 Fantom II fighter. The company merged with Douglas Aircraft in 1967 and acquired Hughes Helicopters in 1984, and finally merged with Boeing in 1997.